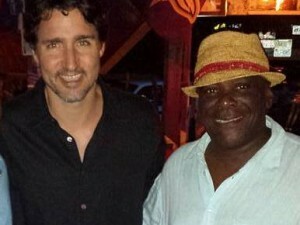 Basseterre, St. Kitts, October 09, 2015 (SKNIS)—Prime Minister, the Hon. Dr. Timothy Harris, has reiterated his government’s claim that there has been no victimization of civil servants since his government took office seven months ago. Dr. Harris, during the inaugural edition of Team Unity Government’s weekly radio program “Working For You” on Wednesday afternoon, asserted that the government had appealed to political appointees on Government boards and entities to resign and some of them refused. Other civil servants, he pointed out, remained in their positions regardless of their political affiliation. “There is no victimization here; not one scintilla of evidence of that,” Dr. Harris said, debunking the allegations of the opposition St. Kitts and Nevis Labour Party. However, the prime minister was keen to point out that his Government will ensure that the civil service remains efficient and productive by embarking on civil service reform that will see negatives “transitioned out” of government service. “In time, (with) reform of the public service, almost all of the negatives within it, would as it were, be transitioned out and a better group and a better cadre of people will come,” Dr. Harris said. The prime minister also declared that senior civil servants would be held responsible for the performance of their subordinates. Meanwhile, the prime minister noted that the transition process for the government has gone quite well and that most of the civil servants have been performing. “For example, to assume control of the boards that are under the state enterprises, we were able to make the necessary adjustment in positions within the context of the civil service and all of these necessary changes were effected with decency and decorum. And so we achieved this without destabilizing the civil service or the country,” Dr. Harris said. Those persons he said were repositioned so that the government’s work could continue. “Working For You” will air live every Wednesday at 1:30pm through simulcasts on ZIZ, WinnFM, Sugar City Rock and rebroadcasts on Freedom FM on Thursdays at 7:30-9:00am and on Von Radio on Thursdays from 10:30-12:00pm.